Ashan was all of only 21 months when he lost his battle to a rare genetic disorder on November 18. During his last days at the Lok Nayak Jai Prakash Narayan hospital in the capital, his distraught family left no stone unturned, and appealed to various authorities for facilitating right treatment as promised under the National Policy on Treatment of Rare Diseases. To no avail. The disease was rare; the case is not. 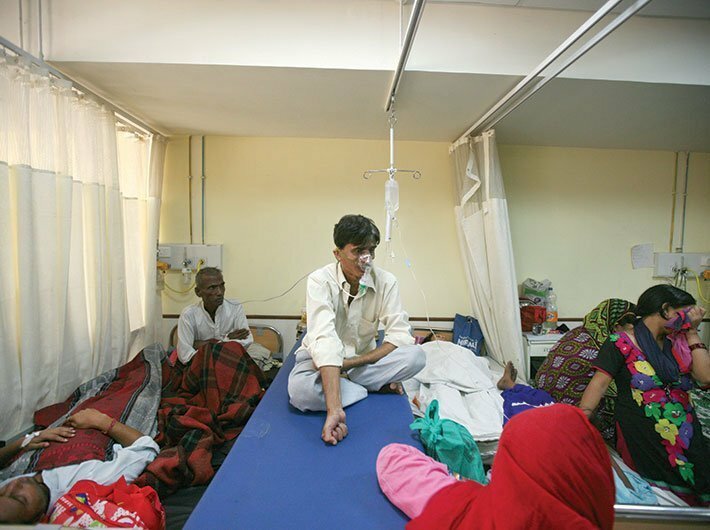 Patients are losing lives as the government is yet to finalise the modalities of implementing the policy. When it was announced last year, it was widely welcomed, but it is now over 78 weeks and patients are still awaiting action. More than 20 children have lost their lives in this period, 10 alone in Tamil Nadu. The policy has been entangled in bureaucratic hold-up between the centre and states. There has been no headway in the implementation process despite the favourable judicial intervention in many states to initiate the treatment. A corpus of Rs 100 crore announced in the policy remained unused, and lapsed with the end of the last financial year. Some efforts have indeed been made: for example, setting up the central technical committee (CTC), state technical committees (STCs) and the rare disease cell for the application process to initiate treatment. But did the move make the process of getting treatment easier for patients? No. The tedious and lengthy application process is only adding up to the complications. At first, the family of the patient has to apply to the rare disease cell directly or through a designated state health hospital. The application is forwarded to the STC by the hospital, which further forwards it to CTC after necessary reviews. The funds are then supposed to be released to the designated hospital under the PIP (60:40 ratio), only once the CTC approves it. It is only after this tiring and cumbersome procedure that the treatment can be initiated. Sadly, not even a single patient has been enrolled or approved for treatment in over 17 months. The rare disease cell of the health ministry has received 180-odd applications, but there has been no headway. The centre is taking its own time to formulate guidelines to give it a structure for processing the applications and providing treatment. For those trying to cope with the prohibitively expensive nature of treatment, untimely diagnosis, lack of insurance coverage and lack of state or social security, this is an ordeal they do not deserve to go through. Over the last one decade, patient groups, medical professionals, social stakeholders and also the judiciary have been striving to ensure treatment for rare disease patients. In fact, there have been umpteen representations to the centre to get the rare disease policy in place. The need of the hour is to recognise rare diseases as a health priority and not dismiss them as diseases that affect only a “selected few”, thereby, following the promises and recommendations made in the policy. Until and unless concrete measures are taken and adopted to improve patient outcomes, the policy’s purpose will be defeated. There is a dire need to set in motion, an immediate call-to-action for the implementation of the National Policy for Treatment of Rare Diseases. It is time for the centre, states and the stakeholders to come together to combat rare diseases.